Objective: Play for the highest possible score using the difficulty settings defined in the challenge. Post a photo or video of your score in this thread. Scores must be achieved between February 15th through February 28th, 2019. Screen captures are not allowed as they are easily manipulated for falsified scores. Multiple submissions are permitted. The player with the highest score at the end of the competition is the victor! Play Rules: Games may be played on real hardware or emulation, using any controller or keyboard, following rules and game settings as delineated in the Squad Challenge. Enhancements, rewinds and hacked versions of this game are not allowed. Difficulty Level: Game 2 Intermediate Play. Difficulty Switches are not used in this game. Fair Play: Players should play fairly, be honest, and have fun! Falsified scores will result in your immediate removal from the site. It goes without saying that no use of cheats, hacks, cartridge frying, enhancements, rewinds, Photoshop, subterfuge, or any other unfair advantage is allowed. Everybody hates a cheater. Message: Welcome to our 53rd Squad Challenge! To celebrate our 52nd Squad Challenge we are playing our first 5200 Squad Challenge! 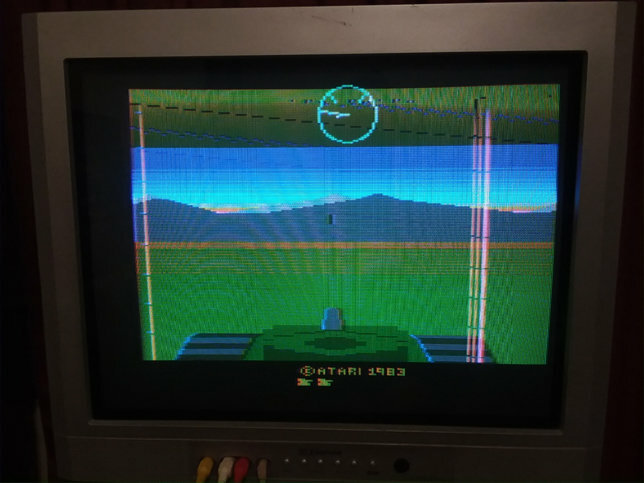 Battlezone is an Atari icon. 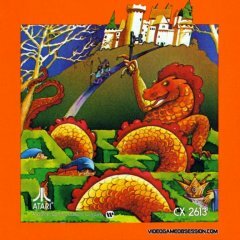 It was a vector game in the arcade, but became one of the better ports to the Atari 2600 using standard graphics. PDF Battlezone Instruction Booklet is attached below. Good luck! My favorite part of this game is the cool "static" effect when you get shot. 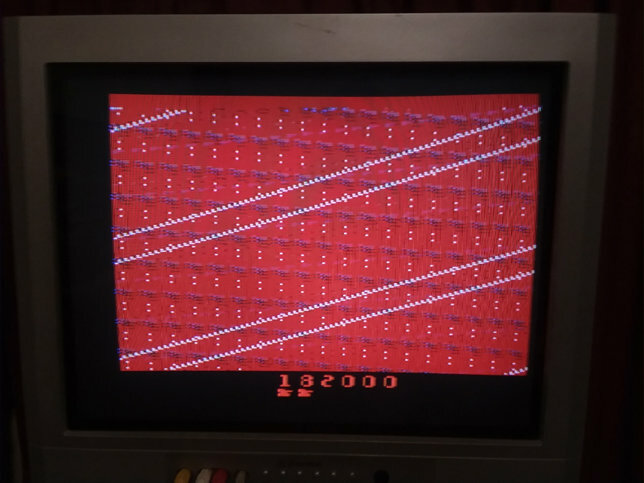 The 2600 performs this game extremely well. Of course I'm in! Time to boot up Stella and give this one a shot! Cool!!! A game I'm actually good at!!! It sure does! I can't remember if Battlezone is better or worse than Robot Tank. I'll find time to try them both and see. 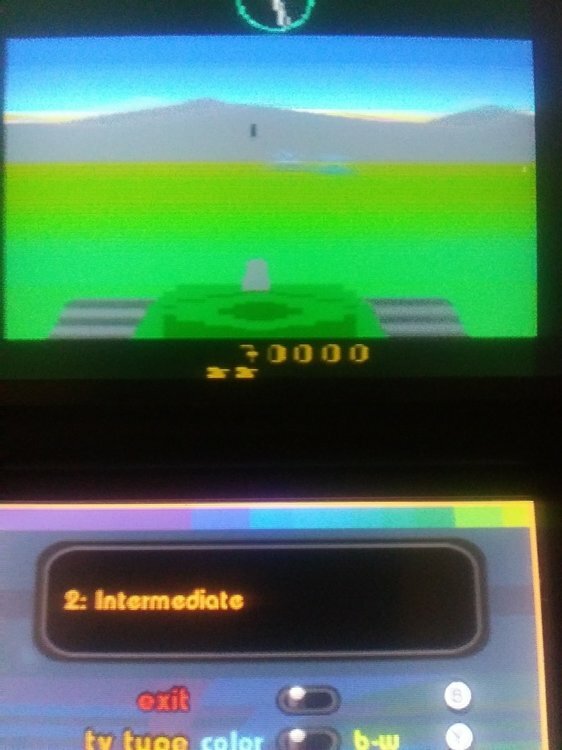 Battlezone almost feels like a 7800 game, but not quite. I would've loved to have seen Battlezone on 7800 and I suspect we would've seen one had Warner not sold the company in 1984. Oh yeah, a 7800 version would have been fantastic I'm sure. It really is an amazing game for the 2600. They took liberties with the graphics, but it ends up working really well. I think it was developed by Mike Feinstein of GCC, who had a hand in a lot of other of the later, well-done ports on the 2600. Personally I like Robot Tank a little better, but they are neck and neck for me. On my list of 197 ranked game, BZ is 24 and RT is 23. Yup, it's close. However, you do have to play RT and little differently than BZ to fully appreciate it. 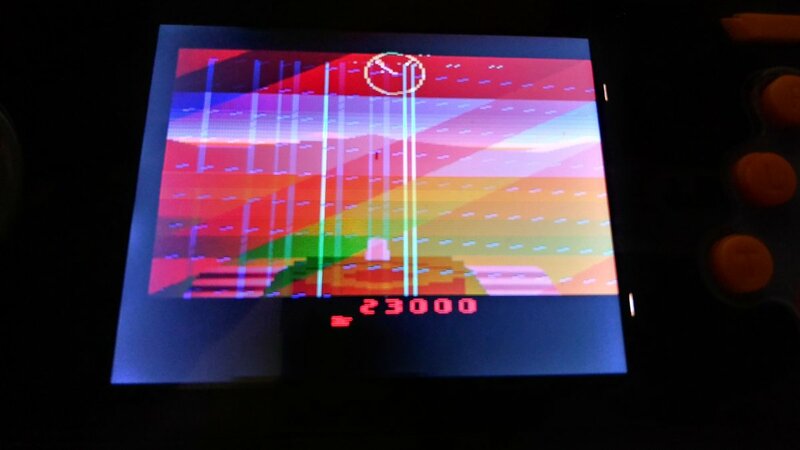 I have to admit, there was a LOT about the 2600 I never knew about until I found Atari IO and gave the 2600 an honest chance. 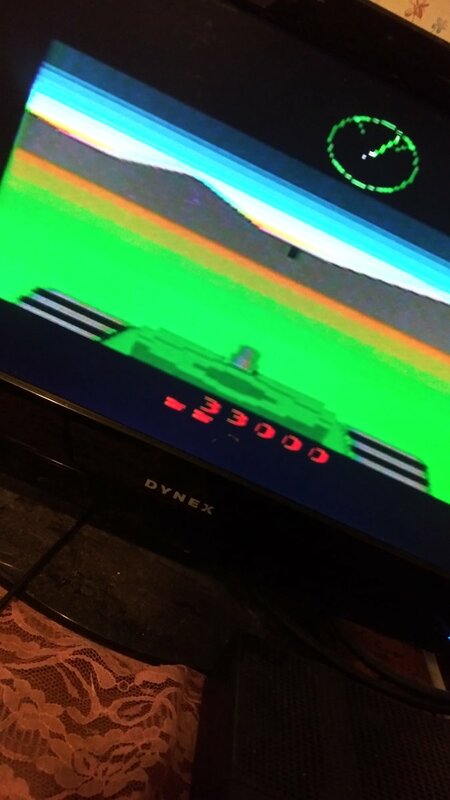 I got Robot Tank before I got Battlezone. To my surprise both are very good games and it is easy to tell how they are both almost alike. Robot Tank, however, took the Battlezone concept and blew it out of the water in my opinion. The various elements that go up against the player in Robot Tank are astounding. I like both games but I believe I like Robot Tank a tad bit better. It just does so much more that helps the game retain some replay value over Battlezone. Playing now. Will have a score up soon. First attempt: 32,000. Game's tough as nails. I removed score for forgetting to change the game's settings to match those required. Whoops. I just realized my score doesn't count. I forgot to play on Game 2. Opps. Here we go. Right settings. 26,000. Brutal game. May as well put this here. It's a good review and helpfully goes over the scoring and gameplay. I suppose I better live up to my review, lol. Seems to me a big part of getting a high score is the simple luck of where some of the tanks pop up. I played a bunch of games to get this one. Switched to a "Slik Stik" joystick and BOOM. 91,000. Plus I got super lucky to hit several of those stupid red things. 💥 February goes by fast! Our BATTLEZONE High Score Squad Challenge ends tonight! Cant say I have a lot of experience with this game, real fun. 33000 is my latest offering. Playing original cart on an Atari 2600 Jr, original joystick. Void my last entry, I was playing game 1 not 2. I wish that I had been paying attention but it looks like I'll just get one score in before the day is up: 57,000 on a 4-switch with a CX-40. What a fantastic game! I always loved this version as it played to the strengths of the 2600. In some ways it's more fun/interesting than the arcade original. Has anyone played the Rebellion update on PS4/VR? It's excellent! I use the tried-and-true strategy of turning and going in reverse. Don't let the tanks get behind you, no matter what. Keep them off to the sides. When you see a shot fly past you, that's when you turn to shoot them.